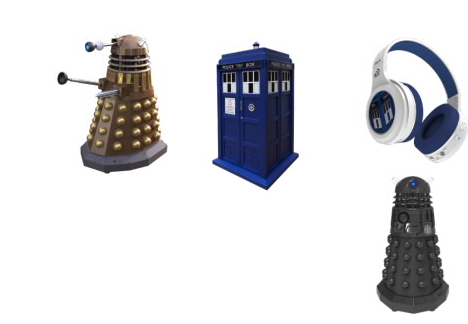 American company Massive Audio have announced, in collaboration with BBC Worldwide, it will launch a new line of Doctor Who-themed products, consisting of TARDIS and Dalek Bluetooth Speakers and Doctor Who Headphones, at the International CES next week. 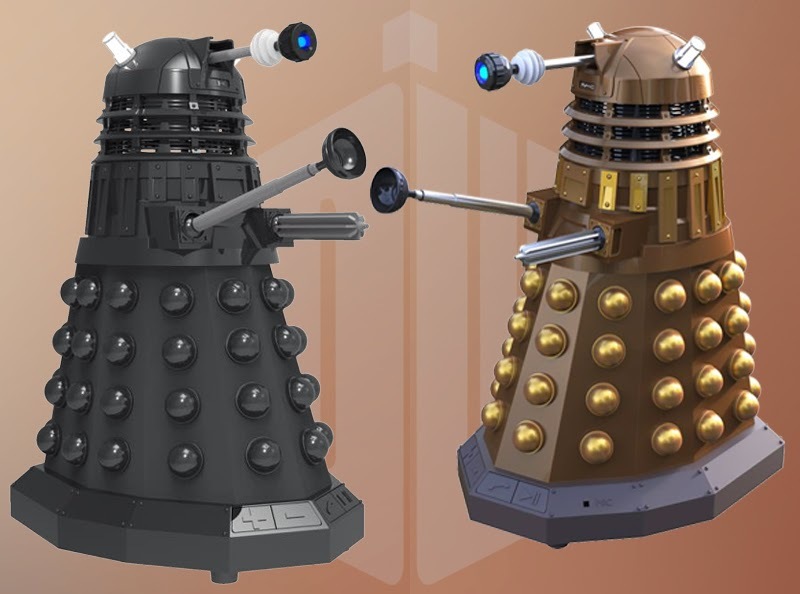 These TARDIS and Dalek collectable Bluetooth speakers will feature an out-of-this world sound experience along with exciting functions such as built-in official fan favorite sound clips directly from the show and LED indicators that sound off and illuminate when different features are activated. Fans will also be able to link multiple products together to create the ultimate surround sound experience. This will allow the ultra-fan to surround themselves with their own army of Bluetooth Dalek speakers that will rival even the Doctor’s own sonic prowess. With exceptional craftsmanship and sound quality, along with a hugely popular following of over 88 million fans, these speakers and headphones will be a hit with fans of every age and demographic. View more information, including a technical specification by clicking on Featured on their site here, or click here to view the store.